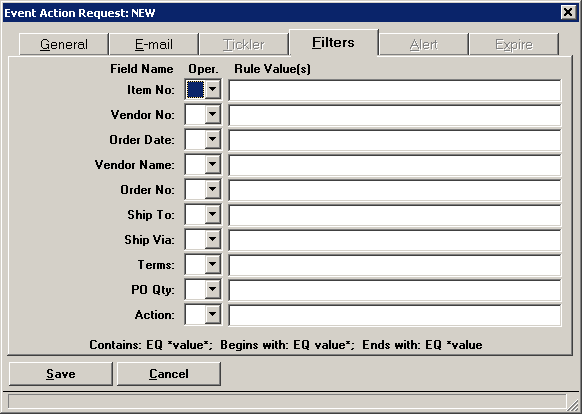 Q - Are there any events that would notify me if someone adds or changes a purchase order line item? 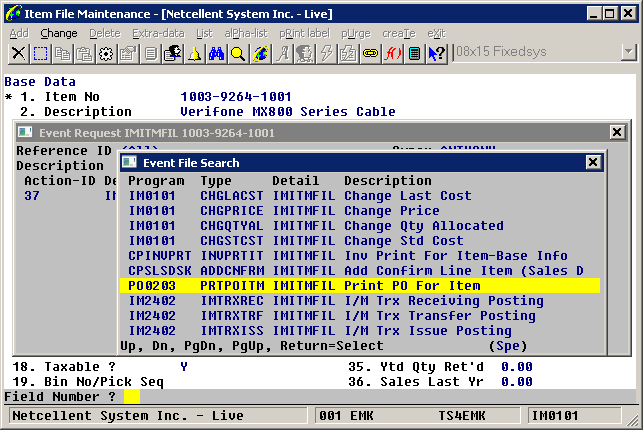 A - As far as when a user adds or changes a PO, the activity that takes place in the PO line item screen is considered to be an “intention” and is not yet finalized. The PO is flagged as change pending. Only after you print the new, changed, or canceled PO is it considered to be finalized. At that time, the item's quantity order is updated and the ATP records reflect that. Therefore, our event focuses on the time the PO is printed, not on the time when the PO is added or changed in the PO line item screen. In addition, it would be a lot more complicated to implement add/change PO line item events because there are multiple ways a PO line item can be added or changed, including, but not limited to: (1) PO Line Item Screen; (2) Copy PO; (3) PO Import; (3) PO Line Item Change CSV Import; (4) Cancel PO; (5) Release Blanket PO; (6) Post PO Requisition. Since all these add, change, and cancel activities need to be finalized through PO Printing, you can see that it makes a lot more sense for us to focus the event support on PO Printing instead. You can go to an item file to bring up any item. Then bring up the event window by clicking on the tool bar and pressing F5 to add a new event. Look for the “Print PO For Item” event. See sample screen below. So you may filter for the triggered events based on this field to get the type of activities you want.